Nathaniel Portlock was born in Norfolk Virginia in about 1748. At about the age of 24, he entered the Royal Navy as an able seaman on the St Albans. On March 30, 1776, he served as master’s mate on Captain James Cook’s third Pacific voyage aboard the Discovery (Cook’s last voyage, Cook was killed in Kealakekua Bay on February 14, 1779.) Portlock was transferred to the Resolution, also on the expedition, in August 1779. In 1785, a group of London merchants formed the “King George’s Sound Co” (also known as Richard Cadman Etches and Company,) for the purpose of carrying on the fur trade from the western coast of America to China, bringing home cargoes of tea from Canton for the East India Company. They bought two boats; Portlock and George Dixon were selected to sail them. While in the Islands, Portlock named Oʻahu’s prominent landmark “Point Rose” (Lēʻahi (Diamond Head)) in honor of the secretary of the British treasury. Finally, Portlock and Dixon headed separately for Macao (near Canton, People’s Republic of China,) traded their furs and both ships sailed for England with cargoes of tea belonging to the East India Company. About this time, September 17, 1788, the first American ships made their appearance in Nootka Sound (Columbia.) Fitted out in Boston in August 1787, for several years they were engaged in the fur trade between the Northwest Coast and China, touching at the Hawaiian Islands to replenish their stocks and water. When they returned, Portlock was promoted commander. On September 28, 1799, he was advanced to captain, but does not appear to have had further employment at sea, perhaps owing to ill health. He died on September 12, 1817 in Greenwich Hospital. 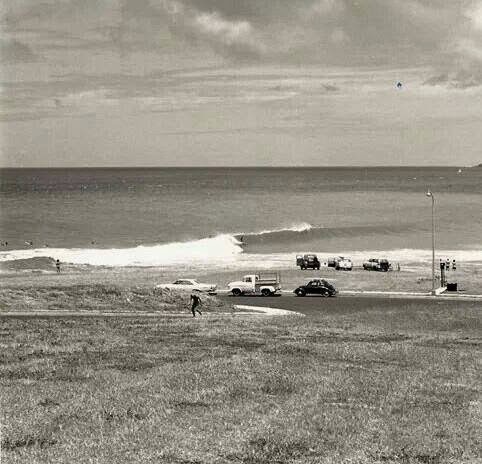 The image shows surfing at Portlock, Maunalua Bay (in the early days.) In addition, I have added others similar images in a folder of like name in the Photos section on my Facebook and Google+ pages.